If you would like to make a payment online for your auto, please click on 'Auto Payment'. 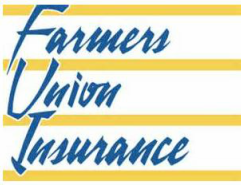 You will be directed to QBE Farmers Union Insurance. Click here if you would like to make a payment online for your home, farm/ranch, or commercial policy'. You will be directed to fumico.net. *If this is your first time logging in, you must click 'create my account'. If you have any questions, please call 406-676-0173. All Progressive customers, here's a link to direct you to the correct Progressive payment screen.